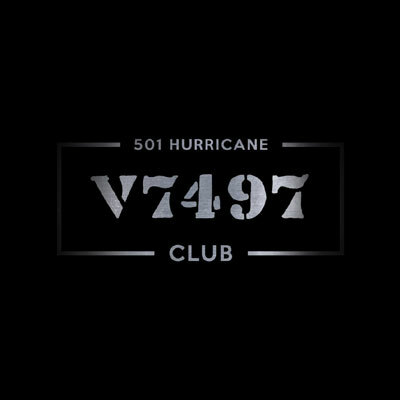 501 Squadron – Victor Howard Ekins was born at St. Neots on 16th April 1914 and qualified as a chartered surveyor before the war. He joined the RAFVR in March 1939 as an Airman u/t Pilot and began weekend flying training at 16 E&RFTS Shoreham. Called up on 1st September 1939, Ekins went to 3 ITW Hastings then to 4 EFTS Brough to complete his elementary training. After a course at 8 FTS Montrose he was posted to 7 OTU Hawarden in late June 1940 and joined the Training Flight of 111 Squadron at Kenley on 18th July 1940. Two weeks later he went to Croydon to join the squadron. On 5th September Ekins claimed a Me109 destroyed. Three days later 111 went north to Drem but he was posted back to Kenley on the 21st to join 501 Squadron. Ekins was shot down in combat by a Me110 over Godstone on the 27th in Hurricane V6672. He baled out, wounded, at 19000 feet, landed in woods in the middle of a Canadian Ambulance Unit and was taken to Sevenoaks Hospital. Ekins returned to the squadron, then at Filton, on 26th November 1940. He was commissioned in April 1941 and remained with 501, as as Flight Commander, until April 1942 when he was posted to HQ 10 Group at Box as Squadron Leader Ops. On 19th May 1942 Ekins went to 286 Squadron at Colerne on anti-aircraft co-operation duties. He was awarded the DFC (23rd June 1942) and posted as a supernumerary to 66 Squadron at Zeals on 29th September. He was then given command of 19 Squadron at Perranporth on 27th November 1942. The squadron destroyed its 100th enemy aircraft on 11th November 1943 and Ekins made his last operational flight on 5th December, escorting Fortresses to Lille. He was posted to 53 OTU Kirton-in-Lindsey on 20th January 1944 as an instructor and then went to HQ 12 Group Watnall on 1st January 1945 as a staff officer. Ekins made his last flight in a Spitfire on 25th August 1945. 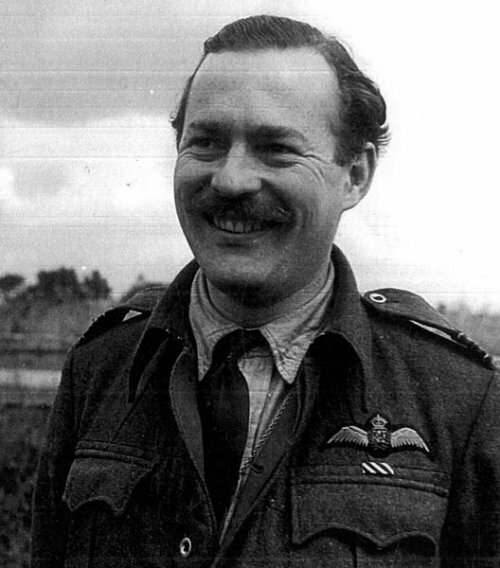 He was made an MBE (gazetted 1st January 1946) and released from the RAF in January 1946 as a Squadron Leader.